It all started with the blacksmiths – a craft of iron, fire, and sweat in a community of emerging and accomplished artisans and artists. Find yourself in a dramatic outdoor setting as you experience the visual arts, theatre, dance, and music. It boasts a history of craftsmanship that is alive and well in the Carbondale area, which now has a lively and thriving creative district. Wind your way from gallery to gallery. Uncover the spirit of the valley in photography, painting, sculpture, glass, ceramics, jewelry, woodworking, blacksmithing, and the performing arts. Several diverse organizations are dedicated to the inspiration and promotion of the arts. Our love of melody has spawned season after season of musical performances in venues from the parks to the pubs. Perhaps one of the most notable is the Annual Carbondale Mountain Fair, which offers three days of music, arts, and crafts. In 2003, the Town of Carbondale established the Carbondale Public Arts Commission to promote all forms of visual art to be displayed throughout our community. Since 2003, the Carbondale Public Arts Commission implemented the 1% for the Arts, and established the Art aRound Town, an annual rotating sculpture exhibit throughout downtown Carbondale featuring sculptors from Colorado and across the country. 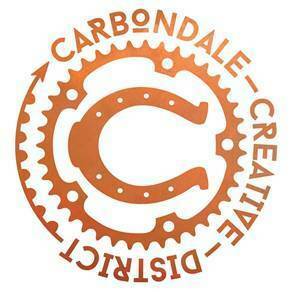 For more information about the Carbondale Public Arts Commission, click here. The Carbondale Clay Center is a non-profit organization that promotes excellence in the ceramic arts and builds community through clay related activities. The Center also offers strong, diversified, high-quality ceramic arts educational programs, and provides support of ceramic artists through residency, teaching, exhibition space, and educational opportunities. The Carbondale Public Arts Commission (CPAC) was established as an advisory commission for the Town of Carbondale in June, 2002. It was established to evaluate sites appropriate for public art, promote the work of local artists, recommend the acquisition of works of art suitable for public display, and promote art awareness. A new way to tour Colorado invites travelers to explore five rural destinations as part of a unique itinerary highlighting arts and cultural experiences. The Colorado Creative Corridor mile trail which links the mountain towns of Carbondale, Paonia, Crested Butte Ridgway, and Salida. These five towns combine to offer a collective experience of unique event programming and activities alongside mountain eclecticism, majestic vistas and outdoor recreation, and authentic Colorado mountain culture. Just 18 miles south on highway 133 is the town of Redstone, where mining has left its indelible mark. Redstone's historic coke ovens are located on the west shoulder of Highway 133. During the heydey of mining in Redstone, 200 coke ovens were built as a way of refining coal into coke. Although they haven't been used since the beginning of the 20th century, many of the ovens remain and are a fascinating look into American history. Once in Redstone, take a walk through the quaint town and tour the famous Redstone Castle, a mansion built by John Osgood, founder of the Colorado Fuel and Iron Company. Built in a Stick style with a European-styled interior design and furnishings, the Restone Castle is on the National Register of Historic Places. Guided tours of the Redstone Castle are available. 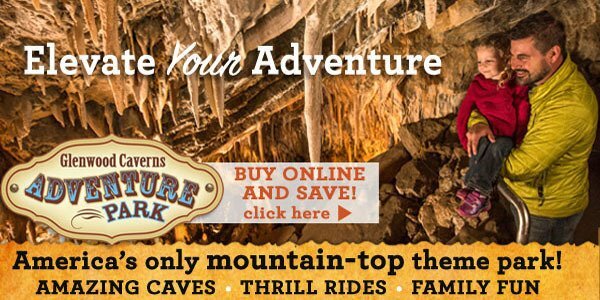 For more information call (970) 963-9656 or visit their website. For over 30 years, KDNK has lived up to its mission to inform and entertain listeners using the diverse talents of volunteer announcers. The voices that make up KDNK are the voices of the valley. KDNK runs on volunteerism and love with a little help from staff. The yearly Labor of Love Auction, Membership Drives, and "fun"-raising events are fueled by the people of the Roaring Fork Valley. Participate in what you hear, call a DJ at (970) 963-2976 and request a song, or volunteer to answer phones during membership drives. Participation in KDNK is participation in community. And it's fun! 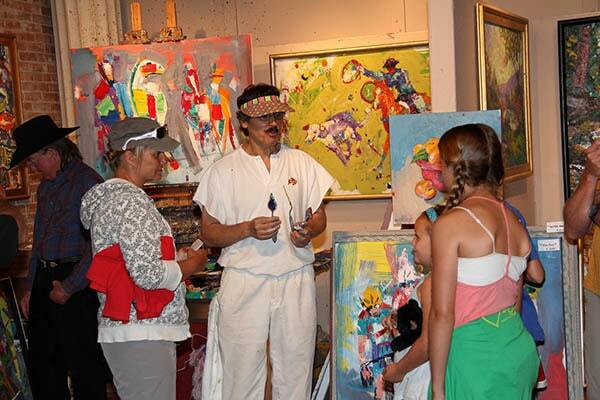 The Powers Art Center opened on July 7, 2014 in Carbondale, Colorado. The art center is a memorial to the life of John G. Powers and will showcase Jasper Johns' works on paper. Jasper Johns is considered one of the most influential contemporary artists of the mid- twentieth century. John G. Powers and his wife, Kimiko Powers, collected a broad array of contemporary artists and were also open to sharing their love of art and appreciation for the power of contemporary art with the public. One such artist that they particularly admired was Jasper Johns. Therefore Powers Art Center will showcase Jasper Johns' limited edition works on paper. Jasper’s work includes images and objects from popular culture and classical iconography that is known the world over. “Contemporary art makes people talk and have full conversations about the world around them,” said Powers when discussing the power of contemporary art and why he began the Powers’ collection in the early 1960s. In honor of his passion and dedication to Jasper Johns creations and the power of art, the Powers Art Center was born. The Center will be focused on educating young and old students alike with a desire to learn about contemporary art through the lens of Jasper Johns’ pieces. Visit the Powers Art Center website. Head south 18 miles to Redstone for Magical Moments, Summer Concert Series. Click here for a complete schedule of events! The Roaring Fork Cultural Council (RFCC) was originally created to bring speakers of national and international prominence to Carbondale and have the events in the intimate environment at Thunder River Theater Company (TRTC). Many of the speakers were people Jim Calaway knew and he was able to bring to the theatre while they were either visiting Aspen or here to participate in an Aspen Institute event. It is a true gift to our community. The generous support of the RFCC patrons enable a very low ticket price so many can easily afford to hear these amazing speakers. Now the RFCC is part of TRTC's Educational and Outreach Programs--and over the next few years, RFCC will be bringing in more speakers from cultural and artistic backgrounds. With Jim's support and guidance, RFCC is very excited about the future of the RFCC. Click here to learn more! Thunder River Theatre Company (TRTC) is a year-round non-profit theatre company producing "professional theatre at its finest." TRTC has an educational outreach program and a Latino theatre initiative.